Meet Tek, the K9 officer who is one proud pooch after helping his partner rescue three abandoned puppies. Three puppies have been given a second chance at life, thanks to a Georgia State Patrol trooper and his K9 partner. TFC1 Ennis was in southwest Atlanta Monday, driving in an abandoned subdivision in a "known stolen car dumping ground," when he came across three puppies. The dogs had been dumped in a briar patch, according to the Georgia Department of Public Safety (DPS). Trooper Ennis said he knew no one was coming for the pups, so he and his K9 partner brought them to GA DPS headquarters, where they were all quickly adopted. "A trooper never knows what he may encounter on a shift, but a day with puppies is a good day," GA DPS said on Facebook, sharing two adorable photos of the dogs. 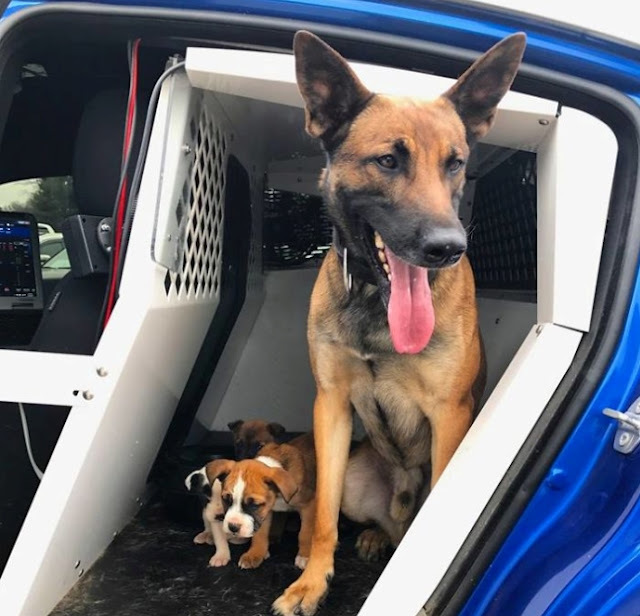 Trooper Ennis and his dog Tek were in southwest Atlanta on Monday, driving in an abandoned subdivision in what is known as a “stolen car dumping ground”, when they saw something unexpected – three newborn pups left in the middle of nowhere. 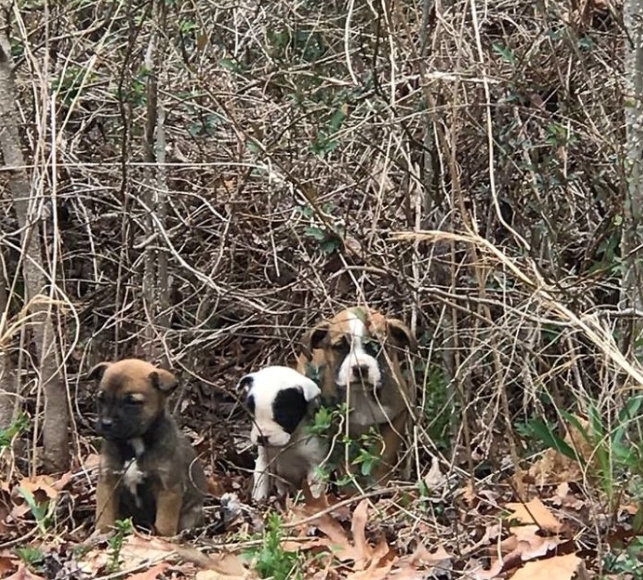 The Georgia Department of Public Safety (DPS) reports that they were dumped in a briar patch and left to die. But then the K9 doggie Tek stepped in and saved the day. He and officer Ennis jumped out of the car, took the three frightened doggies with them and brought them to GA DPS headquarters. The fact that a bigger canine was with them in a car offered the babies much needed comfort and reassurance that finally they were in good hands. From there, all of them were quickly adopted by the staff members, finding a loving forever home. 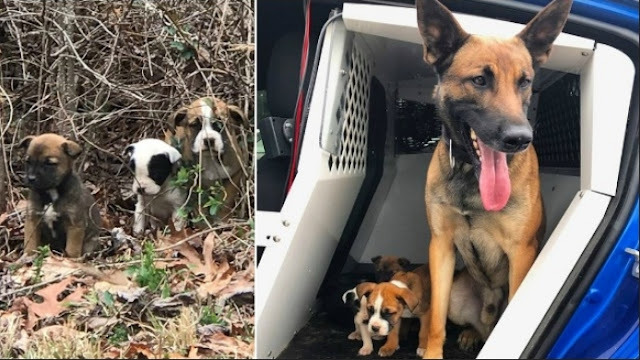 Responses to "Police Dog Rescues 3 Abandoned Puppies With His Partner"
Blessings to the saviors of those pups.